Minnesota Network of Hospice & Palliative Care is made up of healthcare provider organizations, individuals, and allied organizations who share the common goal of promoting and supporting hospice and palliative care in Minnesota. We provide information, education, advocacy, and assistance to our members and to the community. 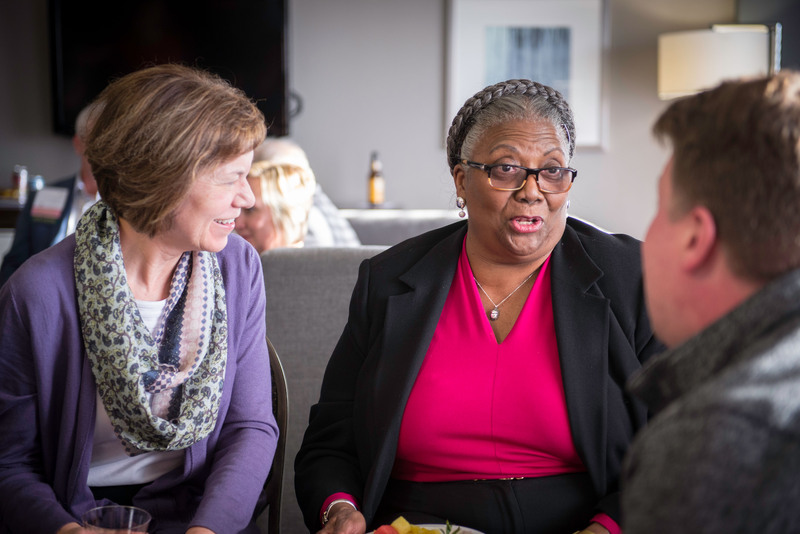 As a public charity 501(c)3, we work with the public and providers to fulfill our mission: improving the quality of life in Minnesota communities by promoting hospice care, palliative care and advance care planning. Discounted rate on every purchase of Choosing Hospice: A Consumer’s Guide ($0.30/copy for MNHPC members; $0.75/copy for nonmembers). Your organization’s name, logo and website URL listed as an “Allied Organization” member on MNHPC’s website. Provider member dues for 2018 dues are based on the number of patients your program served in 2016. The cost of membership is $8.50 per patient served, plus a base membership rate of $250. The current cap for dues payments is $8,000 for organizations that served fewer than 2,000 patients in 2016 and $9,000 for organizations that served more than 2,000. Opportunity to join MNHPC Committees.